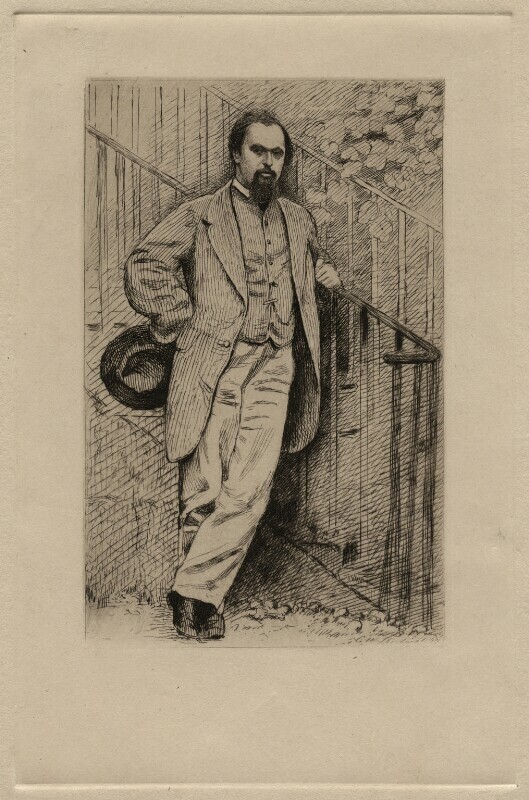 Dante Gabriel Rossetti (1828-1882), Painter and poet. Sitter in 29 portraits, Artist associated with 22 portraits. Lewis Carroll (Charles Lutwidge Dodgson) (1832-1898), Photographer and author of 'Alice in Wonderland'. Artist associated with 62 portraits, Sitter in 9 portraits. Charles William Sherborn (1831-1912), Etcher and engraver. Artist associated with 43 portraits, Sitter in 4 portraits. The Irish Nationalist leader Charles Parnell is forced to resign after being named in the divorce proceedings brought by William O'Shea against his wife Kitty, who had been Parnell's mistress for a decade. The scandal severely damages the campaign for the Home Rule Bill, contributing greatly to its subsequent failure. Parnell's health also suffered; he contracted rheumatic fever and died a few months after resigning. Thomas Hardy's publishes Tess of the D'Urbervilles, a tragedy which explores the consequences of the young Tess's seduction by the wealthy Alec D'Urberville. In the novel, Hardy sets forward his major concerns about the individual's powerlessness before fate, whilst radically critiquing the hypocritical double standards of contemporary morals. The construction of Trans-Siberian railway, the longest single rail system in Russia, begins in the Urals and at Vladivostock. Running between Moscow and Vladivostock, work was completed in 1917. The German aviation pioneer Otto Lilenthal takes off in the first glider from a hill near Potsdam, the first of many guided flights and an important step in the development of aerial technology.